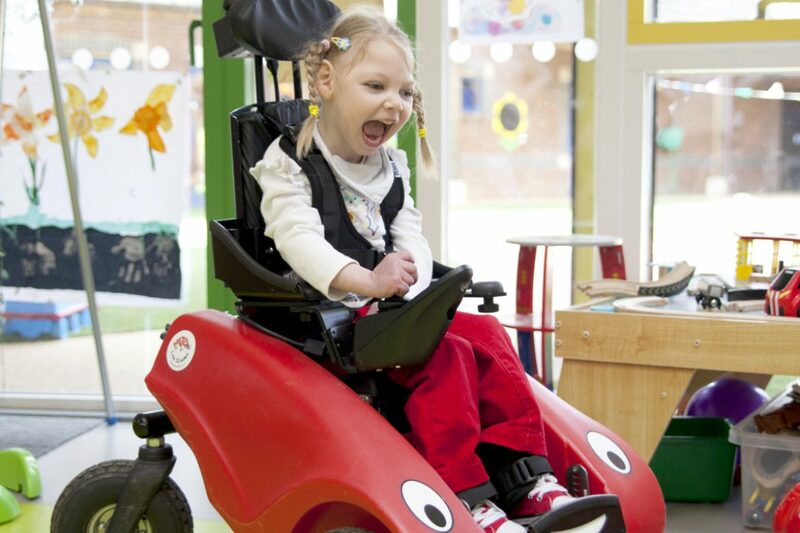 The fun and innovative powered wheelchair designed specifically for children under six. Even those as young as 14 months can operate its simple controls, allowing them to zip around with their peers, developing spatial awareness, social interaction and independence. It can be used indoors and out of doors in accessible areas such as level gardens, playgrounds and parks, enabling children to enjoy the experience of mobility with their “first wheels”. The Wizzybug addresses the needs of children with conditions such as cerebral palsy, spinal muscular atrophy, spine bifida and muscular dystrophy.